Noam Alperin came to the University of Miami in May 2009 from the University of Illinois at Chicago. He obtained his Graduate Degree from the University of Chicago’s Medical Physics program. Dr. Alperin’s research focuses on blood and CSF flow dynamics using flow sensitive MRI techniques. A primary aim of the research is to provide noninvasively, important physiologic parameters among which are cerebral blood perfusion and intracranial pressure. These parameters play impotent role in a wide range of neurological problems, including hydrocephalous and stroke. 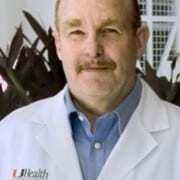 Since joining the University of Miami, Dr. Alperin’ Advance Image Processing laboratory is working closely with the Evelyn F. McKnight Center for Age Related Memory Loss, using different MRI modalities to characterize and quantify morphologic and physiologic changes in the brain associated with aging as well as the coupling between age related brain tissue volume loss and cerebral blood flow decrease. 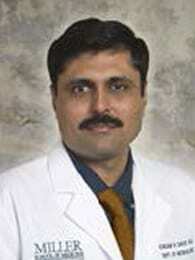 Dr. Dave received his PhD in Biochemistry in 2000 from the M. S. University of Baroda, India. During his PhD training he worked on several research projects including secondary complications of diabetes, Alzheimer’s disease and drug toxicity among others. From 1999 to 2000 Dr. Dave served at the Zandu Pharmaceutical Works, Mumbai, India, as a Biochemist, where he participated in a drug development program. The goal of Dr. Dave’s current research is to study potential signaling pathways responsible for neuronal death in neurodegenerative diseases, especially cerebral ischemia. Investigation of intracellular signaling pathways may lead to the development of novel therapies for patients with neurodegenerative diseases and stroke. Dr. Dave’s research also investigates the effect of cerebral ischemia on cognitive and motor functions in young and old rats. 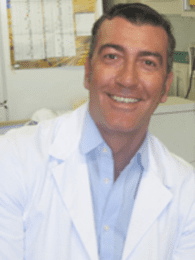 David Della-Morte received his MD degree and his PhD in Clinical Physiopathology and Experimental Medicine at University of Naples “Federico II”, Naples, Italy. 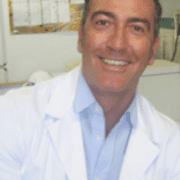 Since 2005, Dr. Della Morte has been working at the Department of Neurology, University of Miami, and was trained as a Postdoc in Neuroscience at the Cerebrovascular Disease Research Center. 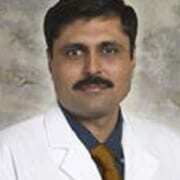 Currently, he is a Research Associate Professor of Neurology at the same University. Since 2013, he has also been appointed Assistant Professor of Internal Medicine, Department of Systems Medicine, University of Tor Vergata, Rome, Italy and a collaborator with the IRCCS San Raffaele Pisana Rome, Italy since 2010. Dr. Della-Morte is involved in both basic and clinical science in the field of aging, metabolic, cardiovascular and cerebrovascular disease. His current research focus is to clarify the pathological pathways linking metabolic diseases with cognitive impairment typical of elderly patients and with genetic disorders, such as Huntington Disease. Moreover, he is currently working on analyzing the role of particular antioxidants enzymes, such as peroxiredoxins, serum/glucocorticoid regulated kinase 1 (SGK-1), and sirtuins, in delay senescence processes. Dr. Della-Morte is also involved in genetics studies aimed to identify genetic factors influencing the development of vascular aging and cognition. Dr. Joyce Gomes-Osman is a clinical neuroscientist with extensive experience in non-invasive brain stimulation approaches (transcranial magnetic stimulation [TMS] and transcranial direct current stimulation [tDCS]) and task-specific training approaches to restore locomotion and upper extremity function. Dr. Gomes has a publication record that includes studies utilizing non-invasive brain stimulation to characterize the neurophysiology and induce neurostimulation (as a potential therapeutic approach) in individuals with neurologic impairments from spinal cord injury. Her experience in clinical trials is a result of 6 years working at the Miami Project to Cure Paralysis, University of Miami, where she was a project coordinator for two R01 grants, while working on her doctoral studies. 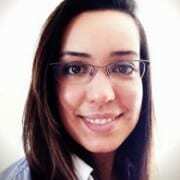 Dr. Gomes-Osman has expanded her knowledge in advanced forms of TMS-based evaluation of intracortical inhibitory and excitatory pathways and neuroplasticity, during her postdoctoral fellowship with Dr. Alvaro Pascual-Leone, an internationally recognized leader in this field, at the Berenson-Allen Center for Non-Invasive Brain Stimulation at Beth Israel Deaconess Medical Center, Harvard Medical School. She remains affiliated as a Faculty at the “Intensive Course in Transcranial Magnetic Stimulation” organized at the Center. Dr. Gomes-Osman holds the title of Assistant Professor at the Departments of Physical Therapy and Neurology and is conducting studies to investigate the effects of aerobic exercise on neuroplasticity, cognitive function and postural control in various populations (healthy individuals, individuals with varying degrees of memory disorders, individuals post-stroke and individuals with Parkinson’s Disease). https://mbi-umiami.org/wp-content/uploads/2015/06/gomes-195x260.jpg 260 195 admin /wp-content/uploads/2016/04/UHealth-Evelyn-F-McKnight-Brain-Institute-89x450.png admin2015-06-30 16:32:122018-03-07 22:22:54Joyce Gomes-Osman, P.T., Ph.D.
Hong Jiang, M.D. 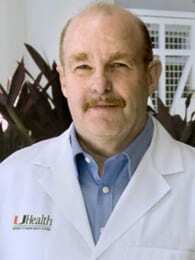 Ph.D. is an Assistant Professor of Neurology and Ophthalmology at the University of Miami, Miller School of Medicine. 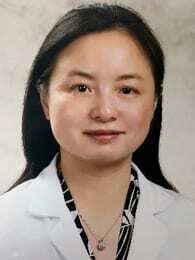 She earned her undergraduate medical degree from Zhejiang University in Hangzhou, China. She received her Ph.D. at the University of Hong Kong in Hong Kong, China. 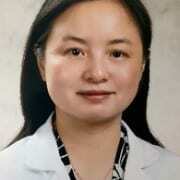 Dr. Jiang completed her Neurology residency training at Jackson Memorial Hospital/University of Miami, and her Neuro-ophthalmology fellowship at Bascom Palmer Eye Institute, University of Miami. As a neuro-ophthalmologist at the Bascom Palmer Eye Institute, Dr. Jiang specializes in the diagnosis and treatment of various neuro-ophthalmologic disorders, such as vision loss due to brain tumor or dementia, optic neuritis and double vision. In the Department of Neurology, Dr. Jiang provides expertise in the evaluation and treatment of various neurologic diseases such as memory disorders, headaches, spine diseases and Multiple Sclerosis. Dr. Jiang’s research interest is to study the ocular microvascular dysfunction in ocular and central nervous system diseases, such as dry eye, dementia and multiple sclerosis. 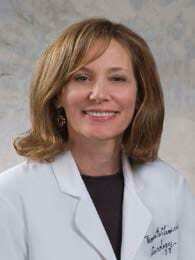 She has multiple publications in ocular microvascular function studies. She is interested in studying the vascular pathway in the pathogenesis of Alzheimer’s disease. With support from both the McKnight Brain Institute and North American Neuro-Ophthalmology society (NANOS), she and her team at Bascom Palmer Eye Institute recently found that decreased retinal microvascular network density and blood flow volume in patients with Alzheimer’s disease compared to normal controls. Dr. Jiang is a member of the North American Neuro-Ophthalmology Society (NANOS), the American Academy of Neurology (AAN), the American Academy of Ophthalmology (AAO) and the Association for Research in Vision and Ophthalmology (ARVO). https://mbi-umiami.org/wp-content/uploads/2015/06/jiang-195x260.jpg 260 195 admin /wp-content/uploads/2016/04/UHealth-Evelyn-F-McKnight-Brain-Institute-89x450.png admin2015-06-29 16:51:282018-03-07 22:29:02Hong Jiang, M.D., Ph.D.
Dr. Bonnie Levin is the Alexandria and Bernard Schoninger Professor of Neurology and Director of the Division of Neuropsychology in the Department of Neurology at the University of Miami, Miller School of Medicine. She received her BS from Georgetown University and her PhD from Temple University. She completed an internship at the Boston Children’s Hospital where she was a clinical fellow in Psychiatry at Harvard Medical School and an externship at the Boston VA Hospital. Dr. Levin is a neuropsychologist whose research examines neurocognitive and affective changes associated with neurodegenerative disease and the normative aging process. 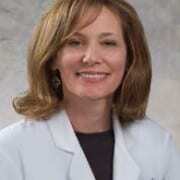 Her work examines the role of cardiometabolic risk factors in cognitive decline. Another focus has been the inter-relationship between behavioral and motor symptoms in Parkinson’s disease and the neural circuitry underlying memory and age related cognitive change. Her current work is aimed to advance our understanding of frontal striatal circuit function in cognition and to generate data that will improve our knowledge of key clinical parameters associated with differential rates of cognitive decline. Current projects include: examining which components of the metabolic syndrome predict cognition, identifying imaging and clinical correlates of white matter changes associated with the aging process and linking structural and metabolic markers underlying different symptom profiles in neurodegenerative disease.